BERLIN -- Daimler's first-quarter profit almost doubled on rising demand for Mercedes-Benz cars including the new E-class sedan as well as one-time gains, helping the company off to a strong start in the year after reclaiming the luxury-car crown in 2016. Earnings before interest and taxes climbed to 4 billion euros ($4.24 billion) from 2.15 billion euros a year earlier, the company said in a statement Tuesday, citing preliminary figures. The earnings included a total of 690 million euros of special items, such as a gain from the sale of real estate and the revaluation of a stake in mapping unit HERE. Profit at the Mercedes-Benz cars unit jumped 60 percent to 2.24 billion euros, as the maker of the S-class sedan reported another surge in sales during the quarter, when it sold 16 percent more cars than a year ago. Daimler has been reaping the benefits of a revamp of its product line-up with a sportier look and an expansion of its SUVs such as the GLC coupe. That effort helped unseat German arch-rival BMW from the top spot last year. Earnings at the heavy-truck unit, the world's biggest, also advanced, after the business struggled last year with declining demand and profits. Last week, Daimler concluded talks with workers representatives for additional cost cuts that will also reduce headcount. Daimler will report full earnings on April 26. 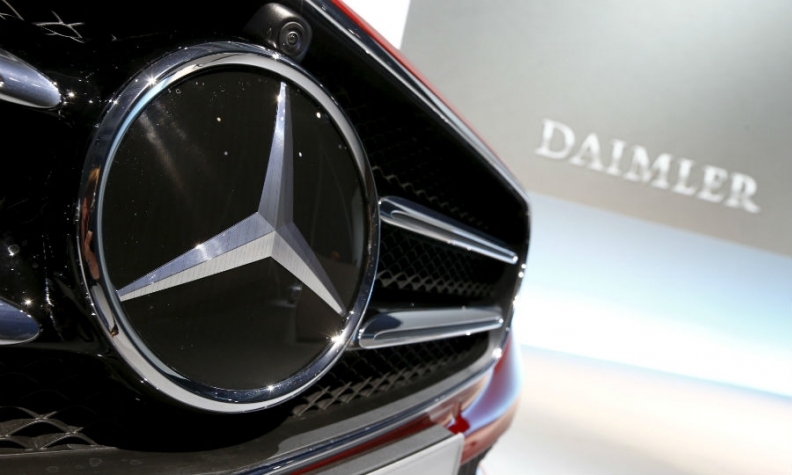 First-quarter earnings were released early after recording a "significantly better" result than market expectations, Daimler said in the statement. The automaker plans to unveil a refreshed version of its S class next week at the Shanghai auto show. The S class is the company's flagship model and one of its main profit contributors.